Taiwan：A History of Agonies was a guiding light in the hearts of intellectuals in Taiwan in the dark days under martial law with no trace of freedom of speech. 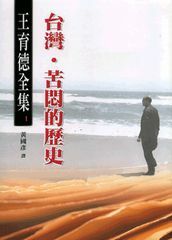 No sooner had the original version in Japanese been published in the 60’s than it won a resounding support in Taiwan. The book was often torn into separate pages to be circulated among as many Taiwanese readers as possible. 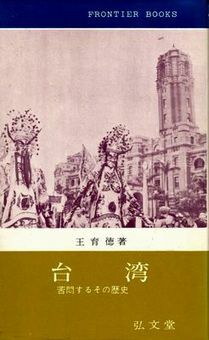 Every Taiwanese devoured the contents with tears in their eyes – an evidence of how the Taiwanese were moved by every word in the book. This is undoubtedly a masterpiece on the study of Taiwan the author had put his life in. 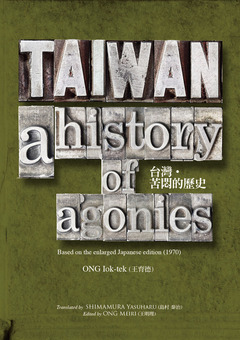 The book not only expels undue fogs in the history of Taiwan and presents yet a fresh vista for a new history.This long-awaited English version will be the foundation stone on which for the peoples of the world will deepen their understanding of the Taiwan affairs and the Taiwan-China relations.